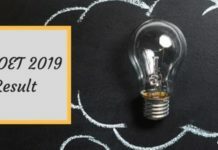 MU OET 2019 Application Form – The MET 2019 Application Form Last Date for many courses is March 25, 2019. To apply for various UG and PG courses in Manipal University the candidates have to fill in the online application form by registering at manipal.edu. To submit the application form the candidate has to pay an application fee of Rs. 600/- and also, Rs. 1400/- towards the entrance exam fee. 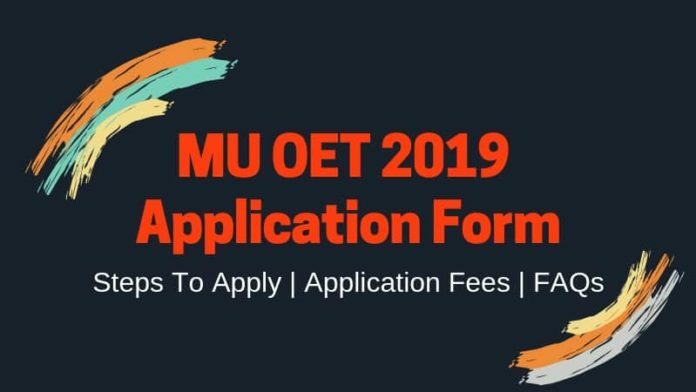 To know more about MU OET 2019 Application Form like how to apply, mode of payment, eligibility, uploading images in the form keep reading below. Latest: MU OET 2019 Application Form is ending soon – Apply Here! 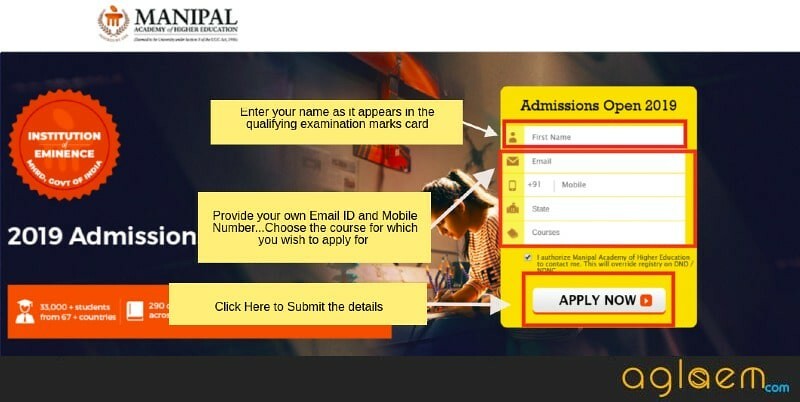 The application form of Manipal University Admission 2019 is mandatory to be filled by all the candidates who wish to take admission in the college under their choice of programme. The MU OET 2019 Application Form allows the candidates to apply for 26 UG and PG courses. Below are the last dates to apply for various courses offered at Manipal University. Note: The application fee to be paid by the candidate for MU OET 2019 is non-refundable. Candidates are advised to keep the documents mentioned above ready before they commence the online registration process. All the documents should be uploaded in a JPEG format. To register online, you will have to fill in details such as your Name, Email ID, Mobile Number, State and the course for which you wish to apply for. On entering the necessary information, click on the “Apply Now” button. On submitting the details, a new page for MU OET 2019 Registration will appear on the screen. The aspirants need to provide their email id, mobile number and then create a password of your own choice. To submit these details, click on the “Register & Continue” button. With this, you have successfully registered for MU OET 2019 and can now proceed to fill in other necessary details in the MU OET 2019 Application Form. Next, the candidates will have to upload the scanned image of their Passport size photograph and Signature in the MU OET 2019 Online Form. Once you have entered all the necessary information int he application form and uploaded the images, click on the “Continue to Course Selection” button to proceed to the next step. Next, the aspirants need to select the course and stream and also provide the other necessary information like academic qualification details, exam details, etc. Choose a test center location where you wish to appear for the entrance exam – MU OET 2019. The list of the exam centres is also available on this page below. Finally, the candidates need to pay the requisite amount of the application fee. The application and examination fee is to be paid by online mode. The last and final step of the MU OET 2019 Application process is to submit the form. Furthermore, the candidates can save it and take its print out for future reference. The candidates have to give a choice of the exam city from where they wish to appear in the MU OET 2019. Therefore, check the list of the exam cities where the MU OET 2019 test is scheduled. The allotted exam centre, date and time of MU OET 2019 is made available via the admit card. Are You Eligible To Fill The MU OET 2019 Application Form? Before applying for MU OET 2019 it is important to check the eligibility requirements. If the candidates are found to be not in terms with the eligibility towards the admission process, their candidature is cancelled and no fee is refunded. To know the course wise eligibility criteria – click here. After filling the application form, the registered candidates get to select their preferred exam date, time and choice of the exam centre via the slot booking process. In the MU OET 2019 Application Form candidates get to choose the exam city, whereas in the slot booking they get to select the exam centre within the city from where they want to appear in the exam. To participate in the slot booking the candidates have to have their application number and password handy. In addition to that, they must note that if they do not book the slot the University books the slot on their behalf. This, in turn, may lead to an unfavourable exam centre allotment for the candidates. Q1: Are the courses offered at Manipal University recognised? A: Yes, they are approved by AICTE & accredited by NBA. Q2: Is there any other mode to apply for admission? A: No, the candidate has to access the online application form only. 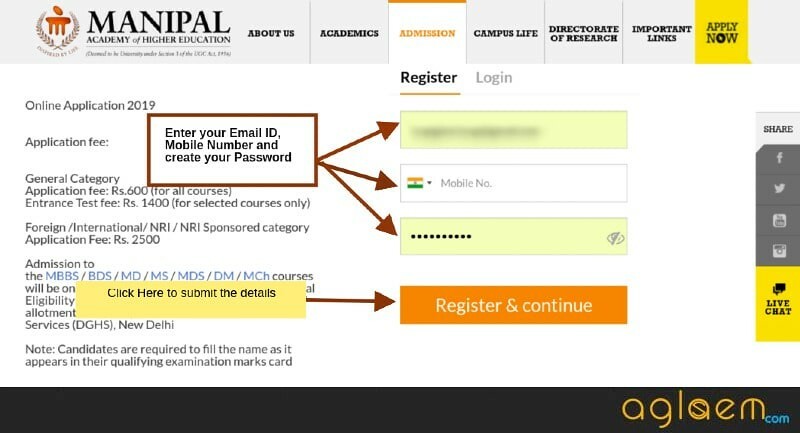 There is no other mode available to apply for Manipal University admission. 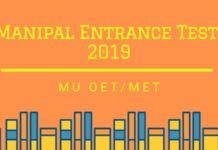 Q3: Do I need to appear for MU OET 2019 to take admission in all the courses at Manipal University? A: No. Mu OET 2019 is conducted for selected 26 courses. For other courses, the admission is via national level entrance exam like NEET or via direct admission on the basis of qualifying exam scores. Q4: How do I know that my application form has been accepted by the University? A: The university will communicate the success of your application form submission via email/SMS/confirmation message on the device that you have used to submit the application form. Q5: I have made mistake in the application form, can I correct the same after submitting? A: No, once you have made the payment the application form cannot be edited. However, you can edit the form numerous time before making the payment. Thus, before submission, the candidates are instructed to crosscheck every detail in the form.